Stick To Your Guns? : Executive Leader Coach @ dbkAssociates, Inc. There is a misconception on some folks’ part that leaders must take a decision and stick to it. “Damn the torpedoes, full speed ahead!” I don’t think that is always appropriate or useful. I do believe it is true that a leader must show decisiveness. I also think it’s important that a leader not let the team lose focus on the intended outcome. However, it seems to me to be quite dangerous for a leader to be unwilling to acknowledge and integrate new information or a change in circumstances. To me, the big “guns” to try and stick to are our closely held core values — not our beliefs or assumptions of how things are. My experience indicates that I will have to correct my plan as it is executed. Rarely have all my assumptions matched the marketplace reality. I am frequently surprised by the data gathered as I move through our mutually agreed upon plan. Having said all that, there are still some guns we should not be willing to change or at least, not change easily. As I mentioned, we should stick to our core values. It’s hard to imagine core values needing to change. To begin with, there are very few of them — perhaps two or three. They are very fundamental to our world view. They survived the test of time. Perhaps the end goal, the final objective, is one of the guns we change only when it becomes very clear that the objective was ill-conceived in the first place. Perhaps a competitor beat you to the draw (to continue the gun theme). On the other hand, our beliefs about how the world works —things like what customers really want, what the competition is doing, how to price products, etc. — should be suspicious and subject to constant scrutiny. Again, leaning on my own experience, I’ve found that all too frequently, my beliefs about the world have turned out to be nothing more than assumptions dressed up in adult clothes. After tough scrutiny, I find that the beliefs I formed were based on scant facts or knowledge. They are often simplification on the wrong side of complexity. Which means they certainly cannot be applied universally. In the end, the leader will have to make decisions about when to stay the course and when to recognize that a change in direction is required. 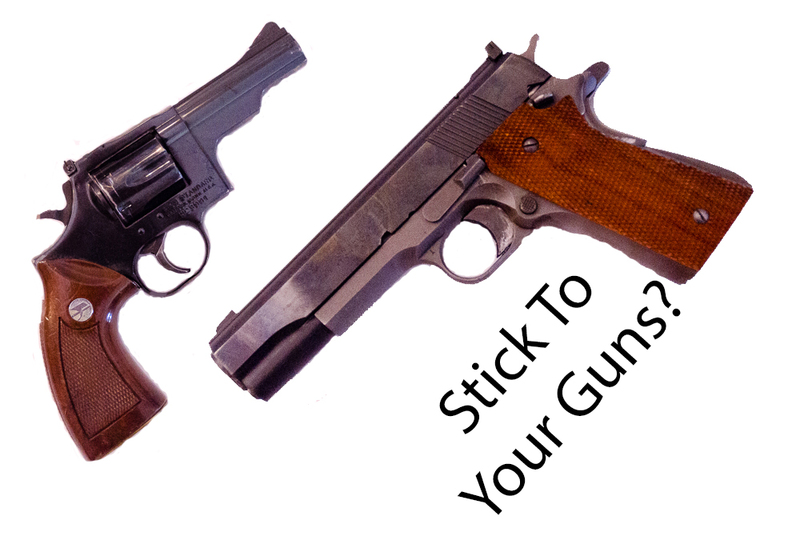 I find that sticking to my core value guns helps me make those difficult decisions. Maybe that is because one of my closely held values is “Insatiable Curiosity.” As long as I stay curious, my beliefs about how things are become secondary and malleable.